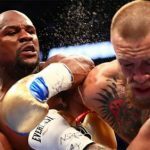 The primal allure of boxing, unlike any other sport save for MMA, is watching two fighters lay waste to all sorts of civility when they enter the ring. 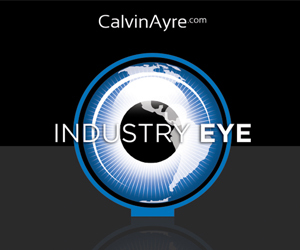 Too much is put on the spectacle that goes with the sport, especially in high-profile fights like the upcoming Floyd Mayweather Jr – Miguel Cotto showdown on May 5. But when you leave behind the promo tours, the 24/7 episodes, and the continuous media coverage surrounding it, you’re left with two men standing in the middle of the ring, armed only with a pair of tightly-wrapped fists and serious malicious intent to destroy one another. 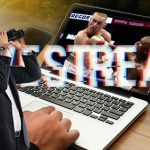 Prize fights like Mayweather-Cotto is the kind of event that makes people drop whatever it is their doing, shell out $60 for the pay-per-view and plop down on their couches to watch two men annihilate each other.The two protagonists, especially “Money May”, are locks for the Hall-of-Fame. Both are also at the peak of their boxing powers, which means that no matter how heavy the odds are stacked against Miguel Cotto – oddsmakers are favoring Mayweather at 1/7 odds while Cotto is a heavy underdog at 9/2 odds – there’s always that chance he lands an overhand right and puts the first blemish on Mayweather’s spotless 42-0 record. Miguel Cotto is no slouch. He’s held four world championship belts in his career, he’s the current WBA Light Middleweight Champion, and his only loss that’s worth noting – sorry, we’re not counting that controversial Margarito fight – came in the hands of Manny Pacquiao. If there’s anybody that can put some pressure on Floyd in a big-money fight outside Pac Man, it’s the Puerto Rican bomber. And for all his greatness inside the ring, Mayweather has never been a model citizen outside of it. He’s characterized by a lot of folks as arrogant and full of himself. He’s been in trouble with the law far too many times than we care to count. And oh, by the way, did we mention people think he’s arrogant and full of himself? 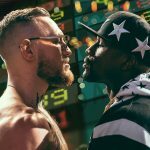 Combine these two elements together and you have a fight that people, fans and bettors alike, will be all eyes on. And if you’re a betting man, you can pretty much expect some serious action on both sides. 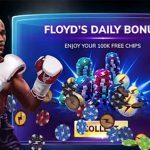 One side will be on Floyd, despite his heavy favorite odds. When you’re behind a man who is the unquestioned pound-for-pound king of the sport and boasting of an impeccable 42-0 record, you’re going to feel confident shelling out them bills for odds that are as good as a sure thing. 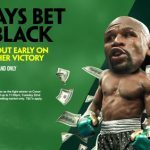 On the flip side, Cotto backers will point to the combination of getting premium ‘dog odds and the glorious sight of Floyd getting his first loss as the primary motivations in risking their disposable income. It’s not a bad wager, per se, but considering how Floyd supporters have cashed in 42 times in 42 fights, it’s certainly a gamble putting money against Money. But through all the hooplah, the betting, and the side shows, the fight is still all about the fighters. When they both step inside that ring, they won’t be thinking about anything else apart from the other man. Training. Family. Money. No thought of it. Unlike all of us who will simply watch and cheer for the fighter we’re backing, those two have no other choice but to do the most primal instinct in all of us: fight to survive. And if it has to be done at the expense of the other, then so be it. 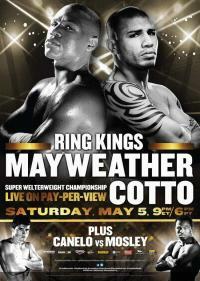 Floyd Mayweather Jr and Miguel Cotto on May 5.